The Small Flush Wood Hybrid- Fyre insert features the world’s cleanest burning technology and comes in a compact size that will fit where no other wood insert has fit before. 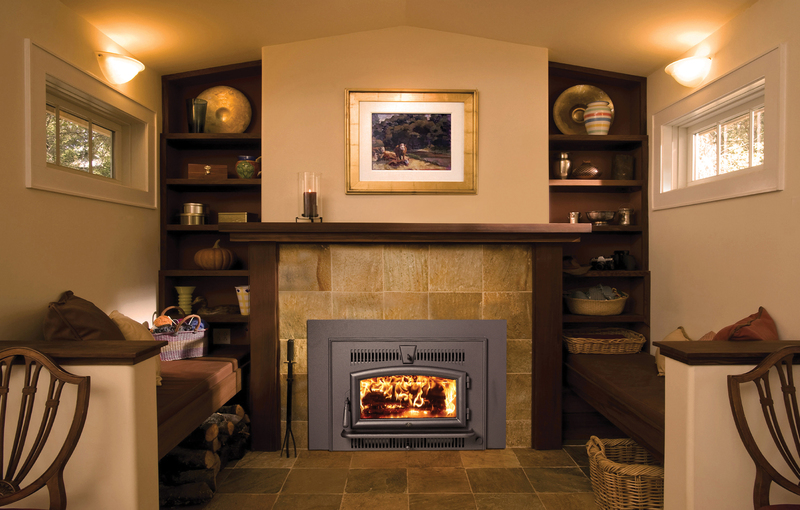 This unique insert is designed for small zero clearance and masonry fireplaces with its 14″ depth and 12 cubic foot firebox. Despite its smaller size, this unit can heat up to 1,000 square feet. A beautifully detailed signature Wilmington face and arched cast iron door with ceramic glass highlights a stunning fire, and a concealed, twin 90 CFM convection fans are included to increase heat circulation. This clean-burning insert test at greater than 76% overall efficiency and produces only 0.89 grams of emission per hour! This insert is 20% more efficient than a typical wood insert, burning less wood and delivering more heat.